Hay fever symptoms can range from being mildly irritating to being debilitating, affecting a person’s ability to go about their daily life, do sport and work. 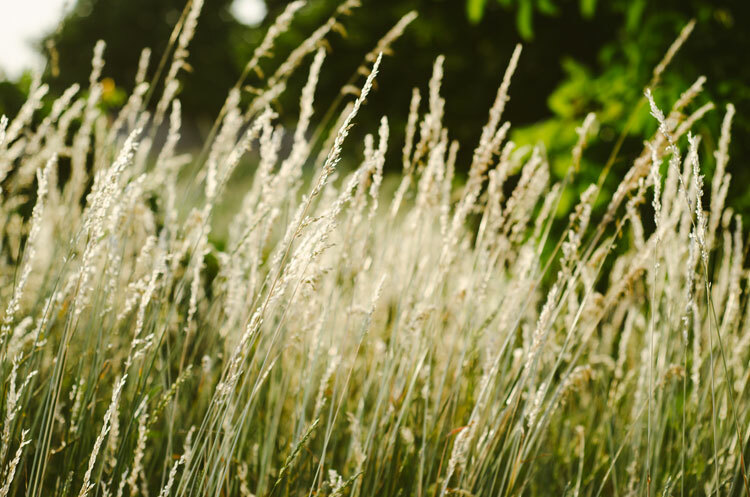 ‘Hay fever’ that peaks in the spring is known to doctors as seasonal allergic rhinitis, but it can occur all year round when it’s known as perennial allergic rhinitis. Effective treatment of hay fever depends on avoiding your triggers and using medicines to relieve or prevent symptoms, or in some cases undergoing immunotherapy treatment to stop your body reacting to the allergen in the first place. Many hay fever treatments are available over the counter or from your pharmacist. Your doctor and pharmacist will be able to advise you how to use hay fever treatments most effectively and which product is best to treat the symptoms you are having the most problems with. You may need more than one product to target different symptoms, for example some people find they need a nasal decongestant to relieve a blocked nose and an antihistamine to control sneezing and itchiness. Antihistamines work fast and are good at treating mild symptoms such as sneezing and runny nose, whereas corticosteroid nasal sprays may take several days to start to have an effect, but can treat more severe symptoms and nasal blockage. It’s important to realise that many hay fever treatments that come in the same format, such as a nasal spray, do not contain the same active ingredients or class of medicine, so are not comparable and may target different symptoms altogether. You may need to try a couple of products before you find the one(s) suitable for relieving your symptoms. It may sound obvious, but knowing which allergens trigger your symptoms can go a long way to helping you manage your hay fever. Hay fever allergens, such as pollens, are carried on the wind so it’s not only the plant species around you that could be the problem. Common allergens that cause hay fever are grass, plant and tree pollens, and indoor allergens, such as house dust mite faeces, mould spores and animal dander. Your doctor or an allergy specialist can help you to identify your allergens and may suggest you have skin prick testing to confirm what they are. Sometimes it may be difficult to identify just one allergen; many people have a combination of triggers. There are many allergen avoidance techniques you can employ to minimise your exposure, such as wearing wraparound sunglasses to protect your eyes, drying laundry inside on high pollen days and showering after being outside on high pollen days. There are websites and smartphone apps for pollen counts in the major Australian cities. It is difficult to avoid some allergens though, so treating the allergy may be the best way in these cases. More hay fever self-help avoidance measures are discussed separately. An antihistamine is a medicine that reduces or blocks histamine in the body. Histamine is the chemical that the body releases in response to allergens. The histamine attaches to various cells in the body causing inflammation and symptoms of an allergic reaction. Antihistamines work by blocking the histamine reaction in the body, so prevent the allergy symptoms from occurring. Hay fever symptoms that antihistamines may relieve include itchy eyes, runny eyes, blocked nose, sneezing, runny nose and itching. Antihistamines may not be as immediately effective as decongestants at unblocking the nose. Oral antihistamines are antihistamines that come as tablets. There are 2 types of oral antihistamines — sedating and non-sedating. Doctors generally recommend you take a non-sedating antihistamine – and even some of these can cause some drowsiness. Sedating antihistamines may be useful to aid sleep, but you should take care if driving or operating machinery. These products should also be used with caution in people with glaucoma or epilepsy. Non-sedating antihistamines can still occasionally cause drowsiness in some people, even though they are generally considered ‘non-sedating’. Hay fever can cause irritating eye symptoms such as itchy, red, runny and watery eyes. Antihistamine eye drops may help with the control of eye symptoms caused by allergy. Antihistamine eye drops should not be used longer than 6 weeks. Mast cell stabilisers are another newer type of eye drop that can help control allergic eye symptoms. They have a direct effect on mast cells and prevent them from starting the allergic reaction in the eye. They do not provide immediate relief of allergic eye symptoms, but prevent symptoms occurring in the first place, when used correctly. It may take 3-7 days for them to show an effect. There are some eye drops that combine an antihistamine with a mast cell stabiliser. Always check the instructions for whether you should remove your contact lenses before applying eye drops. Antihistamine nasal sprays are available over the counter. Antihistamine nasal sprays are just as effective as antihistamine tablets, but act faster than tablets. They help with sneezing, irritation of the nose and runny noses caused by allergens such as pollen, pet dander and house dust mites, in contrast to decongestant nasal sprays, which help with a blocked nose, but not the other symptoms of hay fever. Not all products are suitable for children. Corticosteroid nasal sprays are useful for prevention of symptoms. They can be used at the start of the hay fever season before symptoms occur. They take a few days to work, so if you have symptoms already, you may need to take an antihistamine to start with as relief from the nasal spray may be delayed a few days. Some of these products require a prescription from your doctor. Corticosteroid nasal sprays are the most effective treatment for allergic rhinitis (hay fever) and are used in more severe cases. They are especially effective at relieving blocked nose. Due to their mechanism of action, they should be used consistently and for at least 4 weeks in duration. Make sure you carefully follow the instructions on how to use the spray. Nasal sprays that combine an antihistamine with a corticosteroid are also available, but usually require a prescription. These offer rapid relief of symptoms as well as an anti-inflammatory effect. As these products contain a corticosteroid, which takes several days to take effect, they should be used consistently and for at least 4 weeks in duration to obtain maximum benefit. Ipratropium bromide nasal spray (e.g. Atrovent Nasal) can be used to treat a severe runny nose. Decongestants are medicines that reduce swelling and congestion in the nasal passages, making it easier for you to breathe. Having a blocked or stuffy nose from hay fever can make it difficult to sleep and may force you to breathe through your mouth. Decongestants work by narrowing the blood vessels in your nose, which reduces the blood flow into the nose, thus reducing swelling. They are only designed for short-term use and don’t treat the underlying cause of your hay fever. Decongestants are usually only used after antihistamines and corticosteroid nasal sprays have failed to relieve symptoms of a congested nose. Decongestants should not be given to children younger than 6 years – always check the instructions to see if the product is suitable before giving to a child. Topical decongestants, such as oxymetazoline, xylometazoline and tramazoline, which come in a nasal spray, can help relieve nasal congestion. However, they should not be used for longer than 3 days, as rebound congestion can occur through extended use. Oral decongestants such as pseudoephedrine are also only recommended for short-term use. These tablets also relieve symptoms of nasal congestion, but may cause restlessness, anxiety and insomnia, particularly in children. People with high blood pressure, heart problems, hyperthyroidism, glaucoma, urinary retention, diabetes and those taking MAOI antidepressants, should avoid oral decongestants. Saline (sodium chloride) nasal sprays (e.g. Fess) or saline irrigation can help with some hay fever symptoms and help remove pollen and other allergens from the lining of the nose. Saline nasal sprays are available from the pharmacy. They can be used in conjunction with any other treatment for hay fever symptoms and may help keep the nasal lining clear of mucus that may block your other medications from reaching where they need to be. Combination products are available as tablets that include an antihistamine in conjunction with a decongestant such as pseudoephedrine. These products are available in the pharmacy, but are kept behind the counter and need the pharmacist to dispense them. They may be used when a person needs the symptomatic relief of an antihistamine, in combination with a decongestant to relieve congestion in the nose. Products containing pseudoephedrine may cause insomnia, restlessness, anxiety and other effects mentioned above. They are not suitable for people with high blood pressure and some other conditions. Another oral medication that can be used to treat seasonal allergic rhinitis symptoms is montelukast (e.g. brand names Singulair, Lukair). This medicine — a so-called leukotriene receptor antagonist — can also be used in the treatment of asthma. This is a prescription medicine. There is no evidence for supplements such as bee pollen extract, propolis and echinacea, which are sometimes promoted as helping with hay fever symptoms. In fact, they have been linked with anaphylaxis – a serious life-threatening allergic reaction in some cases. If you are not getting relief from your symptoms after a month of treatment, your doctor may suggest you see an allergy specialist or clinical immunologist. The specialist will take a medical history and may do skin prick tests and blood tests to help with diagnosis and treatment of your allergies. Immunotherapy is also known as desensitisation and can achieve lasting relief from hay fever symptoms in many people. Immunotherapy involves giving a person increasing amounts of the allergen to which they are allergic, e.g. grass pollen, until the body is trained not to react to that allergen. Immunotherapy works best for people who have a strong positive in one allergen on skin prick testing. It is not usually used for those with multiple allergic triggers. Immunotherapy has to continue for up to 3-5 years, so a person has to be committed to make it work. Immunotherapy is carried out by allergy specialists in Australia. 1. MedLine Plus. Antihistamines for allergies. https://www.nlm.nih.gov/medlineplus/ency/patientinstructions/000549.htm (accessed Feb 2016). 2. eTherapeutic Guidelines. Rhinitis (updated Feb 2015). http://online.tg.org.au/complete/desktop/index.htm (accessed Feb 2016). 3. ASCIA. Is it allergic rhinitis (hay fever)?. Updated July 2015. http://www.allergy.org.au/patients/allergic-rhinitis-hay-fever-and-sinusitis/allergic-rhinitis-or-hay-fever (accessed Feb 2016). 4. NPS Medicinewise. Nasal decongestants. Aug 2012. http://www.nps.org.au/medicines/ear-nose-mouth-and-throat/nasal-decongestants (accessed Feb 2016). 5. Australian Doctor. Management of allergic rhinitis. March 2013. http://www.australiandoctor.com.au/clinical/therapy-update/management-of-allergic-rhinitis (accessed Feb 2016). 6. NPS Medicinewise. Top 3 tips to beat hay fever. Sept 2014. http://www.nps.org.au/publications/consumer/medicinewise-living/2014/managing-hay-fever (accessed Feb 2016). 7.ASCIA. Allergic conjunctivitis. Updated July 2015. http://www.allergy.org.au/patients/allergic-rhinitis-hay-fever-and-sinusitis/allergic-conjunctivitis (accessed Feb 2016).